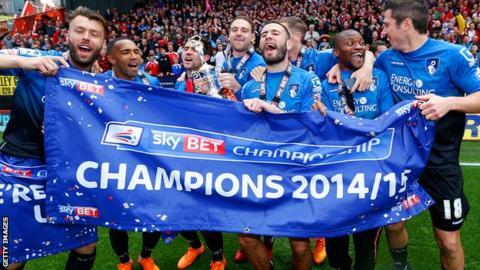 AFC Bournemouth's new Chicago-based investors have made a "long-term commitment", according to the man who helped set up the deal. Private equity firm Peak6, led by Matt Hulsizer, acquired a 25% stake in the Premier League club last week. Russian owner Maxim Demim maintains his controlling stake in the club. "The deal itself took around six months, but the discussions have been going on for around two years before," adviser James Earl told the BBC. The agreement sees Chicago-based Hulsizer, also a minority owner of NHL ice hockey franchise Minnesota Wild, take a seat on the Bournemouth board of directors alongside colleague Jay Coppaletta. Speaking to BBC Radio 5 live's Wake Up To Money programme, Earl said he believes the Premier League will see more deals like this in the future. "This is a sophisticated US investor, who has got an existing background and understanding of sporting investments and has come in to take a minority stake," said Earl, the head of Sport Investment and finance at Pinsent Masons. "They're happy to take up a minority position to create a relationship. "If you look at some of the bigger franchises in the four big sports in the US, syndicated investment is pretty common. "You'll start to see more of these investments as attitudes change." Bournemouth are 18th in their first Premier League season and without a win in six league games, but Earl said the club's poor results had not affected the negotiations. "Matt and Jay have spent long enough looking at what this could be, understanding it is something which could go up or it could go down," he added. "The deal has still gone ahead and I think that speaks volumes. They aren't simply waiting to see if the club stays up and is around next year when the television deal money starts to get very exciting."